Mini poke bowls with marinated raw salmon, sushi rice, mango salsa, cucumber, sesame. Our menus are seasonal and change daily depending on what’s available at the market and our chef inspiration. Please contact us for our daily selection. 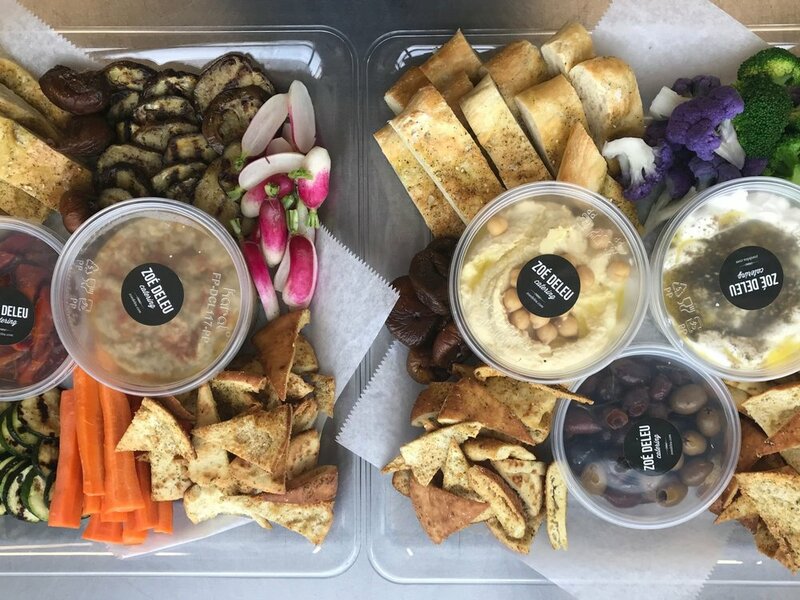 We offer full service catering buffets, pass hors d’oeuvres, custom cocktails in addition to our drop off services featuring a selection of hors d’oeuvres we make specifically for your party. We love to get creative with custom menus tailored to each event. 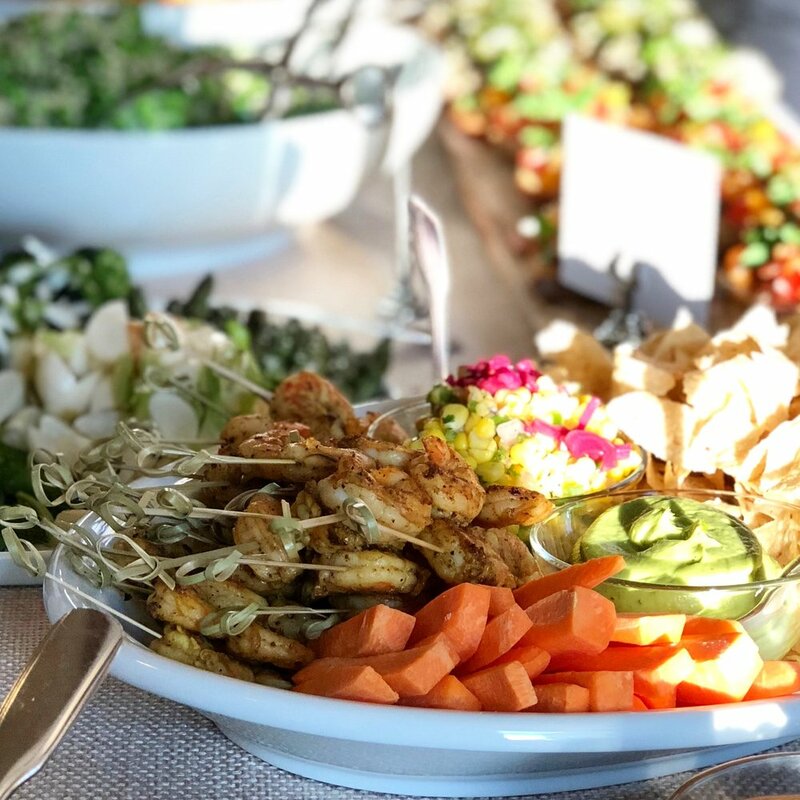 From finger food platters to pass hors d’oeuvres, we put the same care and creativity to come up with the perfect solution for your needs from 25 up to 800 guests. Take a look at our past menus below and reach out to us about your upcoming event! We offer drop off services for parties featuring a limited menu of hors d’oeurves. Your food will be beautifully presented on environmentally-friendly platters and trays, ready to serve. We can also provide nice wood and ceramic platters.